A fully explained advanced/expert French Grammar. Written by a former English teacher, the book is very clearly laid out with many example sentences for each term. 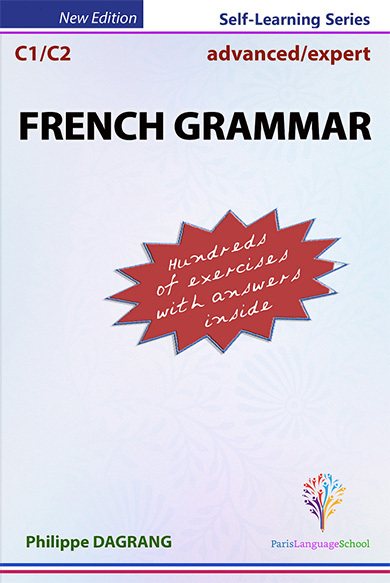 This book covers all the advanced parts of the French grammar. FRENCH GRAMMAR - advanced/expert, is suitable only for intermediate/advanced learners of French. Many hundreds of exercises (all with answers) that come with the book will make the learning efficient.